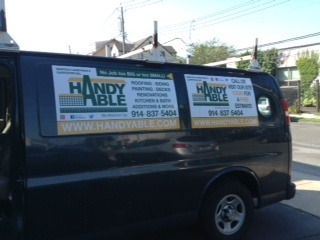 Abel Martin Orellana is the principal owner of HandyAble. Abel started as a handyman, and soon realized that he enjoyed helping clients with his diverse repair and home improvement skills. By 1994, he was involved with virtually all aspects of home construction, including carpentry, roofing, siding and painting. Ten years later, Abel formed his own companies, Martin’s Handyman & Carpentry, and HandyAble (Handyman Contractors). The work ranges from general repairs to construction of patios, decks, fences, retaining walls and assisting with the building of new homes. He is a “hands-on” contractor personally involved with the day to day work. Abel takes great pride in his work and has an impeccable reputation. The quality of his work speaks for itself. References will be provided upon request.